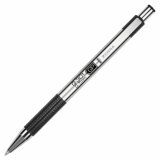 The original stainless steel pen in gel ink. Shorter barrel length works well in shirt pockets. Note: A minimum quantity of 36 must be ordered, and in units of 6 thereafter. 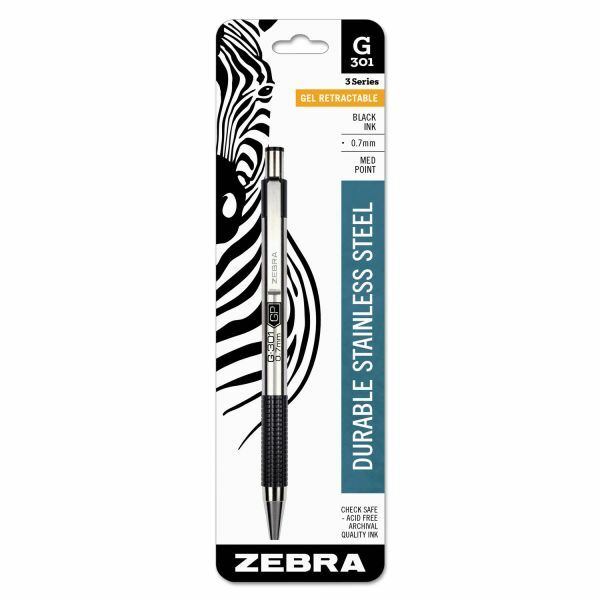 Zebra G-301 Retractable Gel Pen, Medium 0.7mm, Black Ink, Stainless Steel/Black Barrel - G-301 Gel Retractable Pen features a stainless steel barrel for stylish design and world class quality. 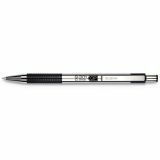 Features a nonslip grip for writing comfort and control. Grip color matches ink color. Medium point. 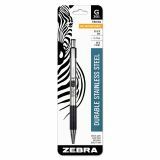 Refillable with Zebra's JK-Refill.